Pakistan is considered a young nation, which is still developing economically. It got its independence from India less than a century ago, so Pakistan still has a long way to go. Although Pakistan is not that well financially but the country is rich in history and culture. ‘’Culture makes people understand each other better. And if they understand each other better in their soul, it is easier to overcome the economic and political barriers. But first they have to understand that their neighbor is, in the end, just like them, with the same problems, the same questions’’. 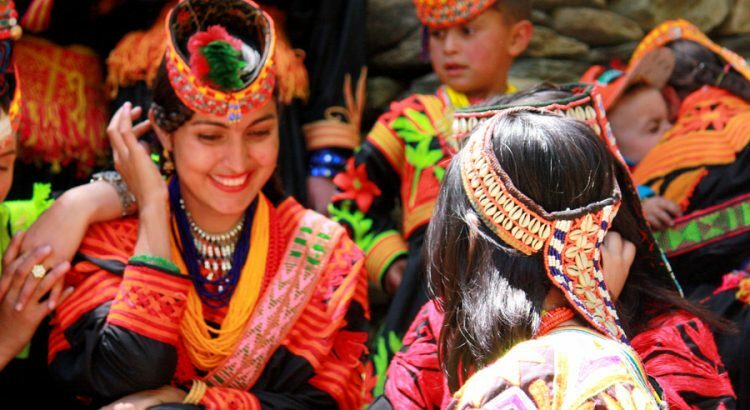 Pakistan is home to numerous ethnic groups which range from Kashmiris, Punjabis, Sindhis, Pashtoons, Potwaris, Makrani, Balochi, Hazaras, Wakhi, Burusho and Dards etc. Pakistan used to be the part of the Great Subcontinent hence its culture is influenced by Turks, South Asians, people of West Asia and Central Asia. Religion also has a huge role in molding the culture of the country. Many Islamic customs have greatly affected the culture and traditions of the people of Pakistan. The rapid increase in globalization also has a tremendous western pressure on the country’s culture. The dress, food and lifestyle of people living in different provinces are rather dissimilar to each other. Conventional values are prominent in all the areas. “A multicultural society does not reject the culture of the other but is prepared to listen, to see, to dialogue and, in the final analysis, to possibly accept the other’s culture without compromising its own’’. Punjab is the epitome and center of cultural values. It is the hub of traditional food. Cuisine such as lassi, biryani and parathas are very popular among the people. The Punjabi people celebrate festivals such as Basant. It is a very colorful festival which welcomes the season of spring. Kite flying and roof top barbeques is the center of this festival. Language is the common factor which creates understanding and harmony among the people at a cultural level. Urdu is the national language of the country and apart from that different languages are used as a mode of communication among the people of Pakistan. The main languages are Sindhi, Pashto, Punjabi, Saraiki, Balochi, Hindku and Bruhai. Pakistani literature emerged after it gained independence from India in the year of 1947. The new nation inherited the English and Urdu literature of the Greater India over a period of time. A unique and rich body of literature has been showcased in almost all the major languages of Pakistan which includes Urdu, English, Saraiki, Balochi, Punjabi and Sindhi etc. Bulleh Shah, Faiz Ahmed Faiz, Waris Shah, Banu Qudsia, Farhat Ishtiaq, Ehsan Sehgal and Daud Kamal are some writers that have given light to the literature society in Pakistan. Many festivals in Pakistan are celebrated such as Eid-ul-Fitr, Eid-ul-Azha, Shandoor Polo festival, Utchal, Eid-e-Milad-un-Nabi, Independence Day, Chowma, Lok Mela, Jhasn-e-Baharan, Defense Day Parade and Phol etc. Diversity of thought and culture and religion and ideas has been the strength of Pakistan.